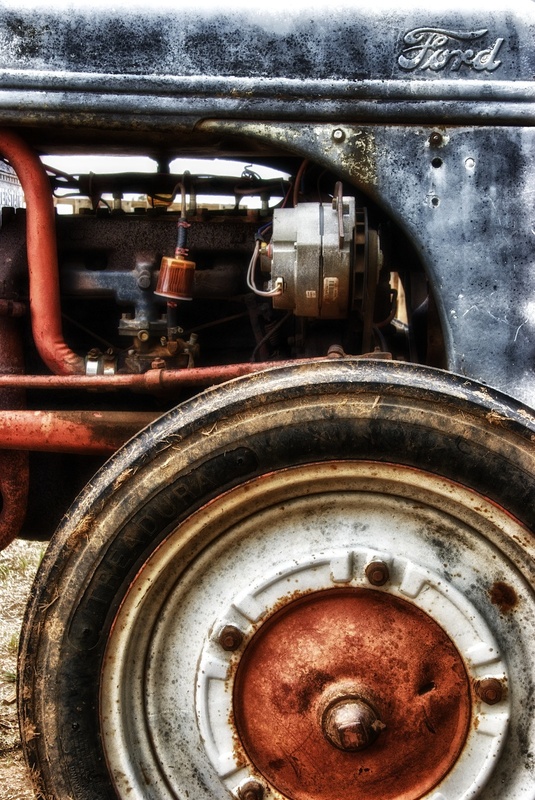 Old tractors are awesome. They are like trains - I have to take a closer look. My Grandfather had one that we used to ride around on when we were kids - so much fun, and such great memories. I came across this one out in Marble Falls, TX and just had to get a quick snap! It was pretty crowded, with kids all over it, so I just went in for a tight focused shot. Plus the engine and that wheel cap were interesting looking.